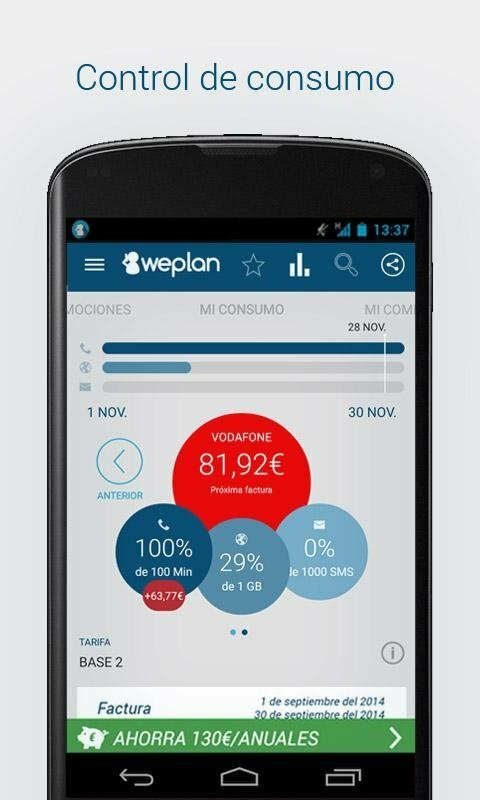 Has your phone bill ever given you an unpleasant surprise at the end of the month? 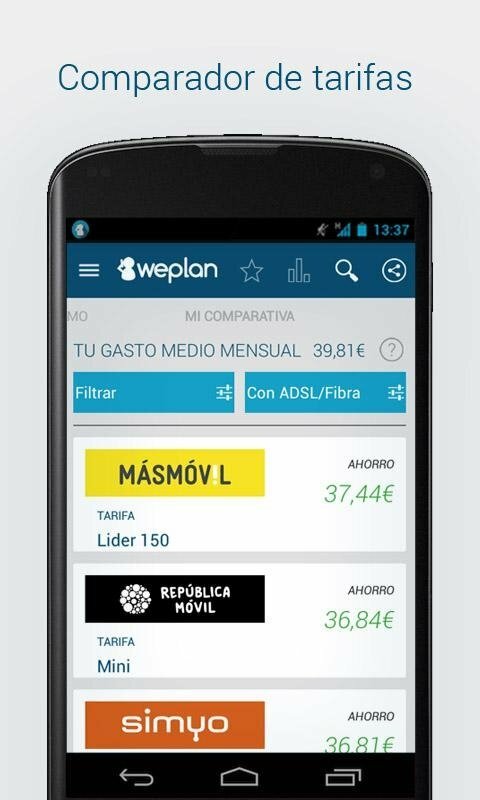 Well, it's now very easy to avoid thanks to Weplan, the best application to control your monthly expenses, and that also allows you to compare your tariff to that of other operators, to find out which one suits you the best. The free phone bill saving application. Configure your tariff to optimize your expenditure. 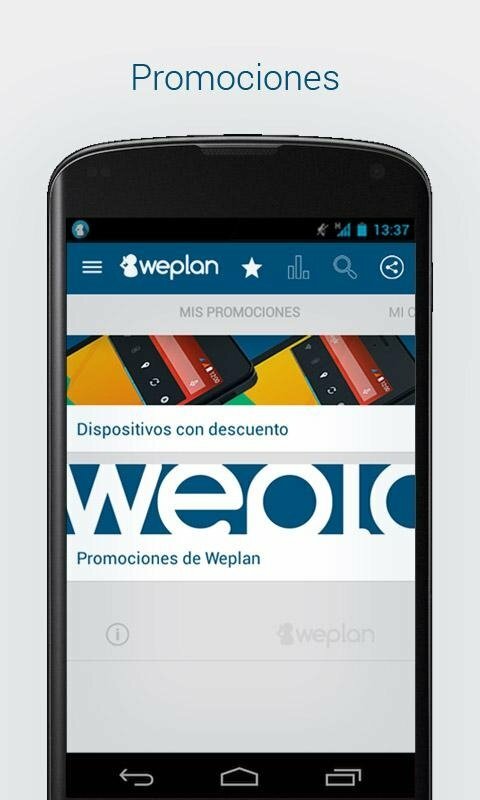 Discover the best tariff on the market. List of operators sorted by savings. 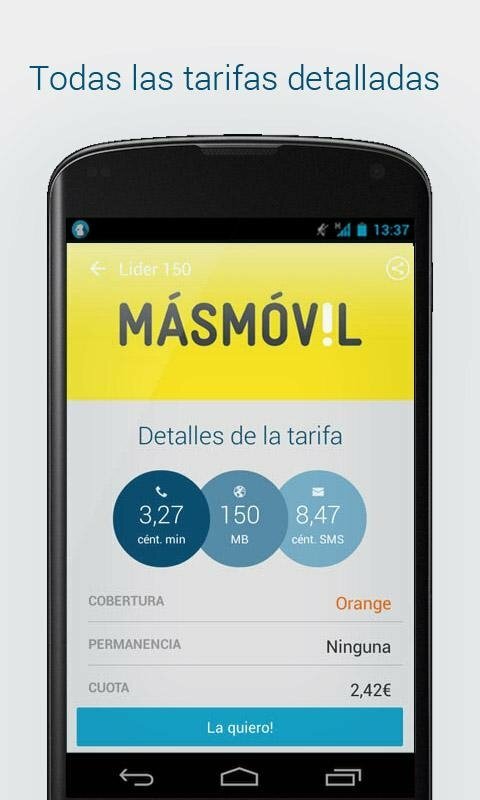 Possibility to simulate your bill. Schedule alerts for when you exceed certain limits. It's time to start saving on your phone bill. 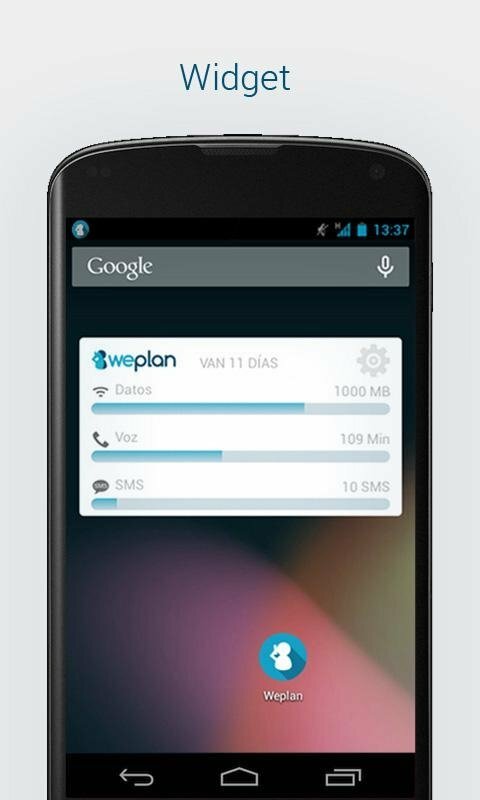 Make it possible with Weplan: Data and voice usage for Android.